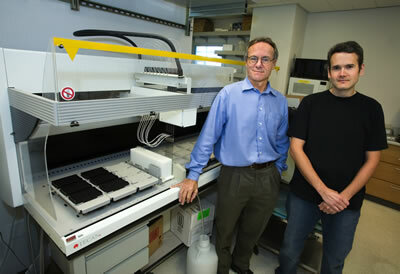 In a paper published in the November 17, 2006 issue of the journal Science, a team of researchers led by Edward Rubin, director of both JGI and Berkeley Lab’s Genomics Division, reports the development of a “Neanderthal metagenomic library,” which they used to characterize more than 65,000 DNA base pairs of Neanderthal origin. Their results not only provide new information about Neanderthals, but also point the way to a new strategy for studying aspects of Neanderthal biology that would never be evident from archaeological artifacts and fossils. In addition, the technology described in the paper also marks an important advance in the field of metagenomics, which is increasingly being used to sequence the complex mixtures of microbes found in the environment. Metagenomics techniques are considered crucial for tapping the potential of Earth’s more exotic microbe-containing environments to find bio-based solutions to problems of renewable energy production, environmental clean-up, and carbon sequestration, as well as breakthroughs in critical areas such as pharmaceuticals and agriculture. The title of the Science paper is Sequencing and analysis of Neanderthal genomic DNA. Co-authoring the paper with Rubin were James Noonan, Graham Coop, Sridhar Kudaravalli, Doug Smith, Johannes Krause, Joe Alessi, Feng Chen, Darren Platt, Svante Pääbo and Jonathan Pritchard. In the summer of 1856, a partial skeleton of a hominid was found at the Feldhofer Cave in the Neander Valley of Germany. This skeleton would eventually be dubbed the “Neanderthal” man and its discovery generated enormous public curiosity and scientific debate that have continued for the past 150 years. 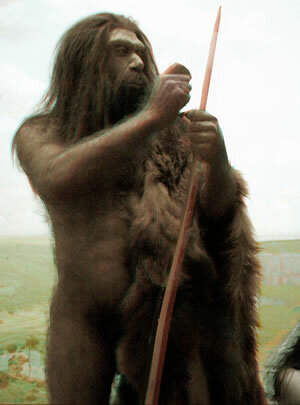 Starting around 1997, scientists began applying genetic technology to the study of Neanderthals. Research led by Svante Pääbo, currently of the Max Planck Institute for Evolutionary Anthropology in Leipzig, Germany, established that Neanderthals were cousins rather than ancestors of modern humans. This research also indicated that humans and Neanderthals broke off into separate species about 500,000 years ago. However, these studies were based on analysis of mitochondrial DNA (mtDNA), genetic material that lies outside the nucleus of the cell. 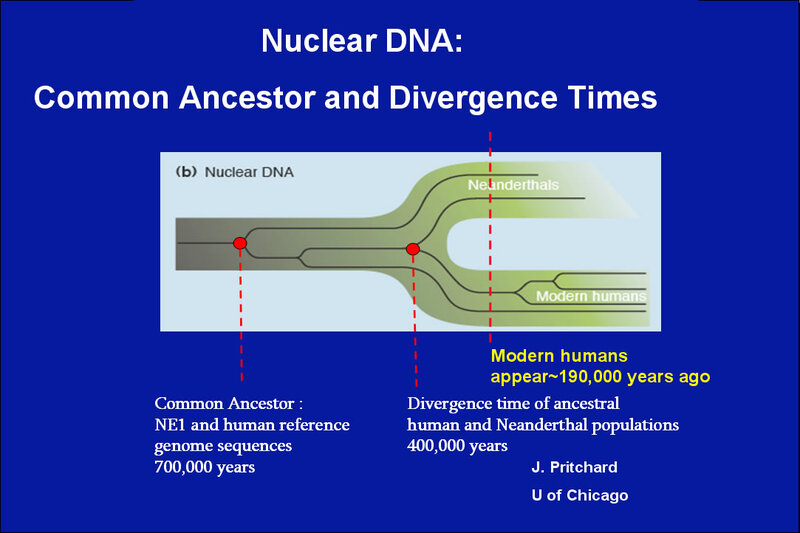 Although mtDNA tends to remain preserved longer than nuclear DNA, it provides limited biological information. The vast majority of the genome is comprised of nuclear DNA, which contains almost all of the genes. Studying ancient genomes from fossilized material by directly sequencing the DNA, as has been done for the genomes of humans and other contemporary organisms, represents a major challenge. As a fossil ages, its DNA is degraded by chemical processes. It also becomes contaminated with DNA from the microbes that colonize both the fossil and its immediate environment, and by other organisms, including the humans who handle the fossil. While a group led by co-author Pääbo is attempting to directly sequence the Neanderthal genome, Rubin, Noonan and their colleagues are meeting the fossilized DNA challenge with a unique solution that’s been described as a “targeted approach.” Essentially, they “immortalize” all of the DNA in a fossil sample into metagenomic libraries where individual fragments of the ancient DNA are propagated in microbes. The DNA propagated in the microbes can either be sequenced or specific sequences can in a targeted manner be specifically fished out of the library and studied. Since the findings reported in this Science paper suggest that only about 0.5-percent of Neanderthal genome differs from the human genome, focusing scientific attention on those sequences promises to be more efficient and cost-effective than trying to directly sequence the entire Neanderthal genome. Also, the metagenomic library approach enables scientists to obtain specific sequences from multiple Neanderthal specimens precisely and without having to generate lots of random sequences. For the results reported in their Science paper, Rubin and Noonan and their colleagues extracted all the DNA in the femur bone of a 38,000-year-old male Neanderthal specimen from Vindija, Croatia. Using a combination of the sequencing technologies deployed in the Human Genome Project, plus a new massively parallel pyrosequencing technology, in which enormous amounts of DNA sequence is rapidly and inexpensively generated, they were able to recover 65,250 base pairs of Neanderthal DNA from the approximately 6 million base pairs of contaminating DNA in the fossil. A critical factor in helping to confirm that the recovered DNA was Neanderthal rather than human was the short length of the individual Neanderthal sequences. Comparing Neanderthal to human and chimpanzee genomes showed that at multiple locations the Neanderthal DNA sequences matched chimpanzee DNA but not human. “This enabled us to calculate for the first time when in pre-history Homo sapiens and Homo neanderthalensis coalesced to a single genome,” Rubin said. Comparative genomics in this study indicated that the common genetic ancestor of Neanderthal and modern humans lived about 706,000 years ago. The ancestors of all humans and Neanderthals split into two separate species some 330,000 years later. Rubin and his colleagues were also able to shed new light on the long-standing question of whether Neanderthals and humans mated during the thousands of years the two species cohabitated parts of Europe. Some scientists have suggested that rather than die out, Neanderthals as a species were bred out of existence by the overwhelming populations of Homo sapiens. With their metagenomic library-based approach to genome sequencing and analysis, Rubin and Noonan believe that in the future, scientists will be able to study specific sequences within the Neanderthal genome to determine the genetic changes that distinguished modern humans from our Neanderthal cousins. Among other advantages, this might help answer the most persistent mystery of all: Why did Neanderthals become extinct? Co-authors Smith, Alessi, Chen and Platt are affiliated with the JGI. Co-authors Pritchard, Coop and Kudaravalli are affiliated with the Department of Human Genetics at the University of Chicago. Co-author Krause is a member of Pääbo’s research group at the Max Planck Institute for Evolutionary Anthropology. This research was supported by Berkeley Lab and funded in part by grants from the National Institutes of Health. The U.S. Department of Energy provides operational support for the JGI user facility.